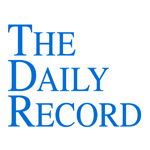 This week's Daily Record column is entitled "NYSBA Ethics Committee Weighs in on the Cloud." My column last week detailed the American Bar Association’s Commission on Ethics 20/20 call for comments regarding cloud computing. I disagreed with the commission’s suggestion that attorneys may be obligated to “supervise” their cloud computing provider’s provision of services. A reader expressed concern that my position might cause attorneys to believe they have no obligation to understand or research the cloud computing services prior to using them. He raised a good point, and that wasn’t my intent. My position regarding attorneys’ obligations regarding emerging technologies is quite the opposite. My discussion in that column was limited specifically to the issue of whether lawyers have an obligation to supervise software developers in the day-to-day administration of a legal software platform, given that most lawyers lack the technical skills necessary to do so. 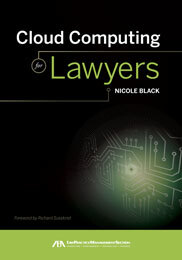 In fact, in prior columns and writings, and in the book on cloud computing I’m in the process of writing (to be published by the ABA in early 2011), I repeatedly stress that attorneys have an obligation to stay abreast of changing technologies and take reasonable efforts to ensure their clients’ data will be secure if housed in the cloud. Interestingly, in September, the New York State Bar Association’s Committee on Professional Ethics addressed this very issue in Opinion 842. Specifically, the committee considered the issue of whether an attorney can use an online system to store confidential client data and, if so, what steps must be taken to ensure the data are secure. In other words, the committee squarely addressed the ethics of using cloud computing plat- forms in a law practice. All in all, the opinion was favorable, and very helpful, to attorneys interested in the possibility of using cloud computing services in their law firms. In other words, as I’ve often repeated, reasonable security measures do not ensure absolute security. Absolute security is an absolute impossibility — and it’s heartening that the committee acknowledged that reality in its opinion. The committee also provided very helpful guidance for lawyers, explaining the steps the should be taken to ensure client data will be sufficiently protected. Investigate the provider’s ability to purge and wipe any copies of the data, and move data to a different host if the lawyer becomes dissatisfied or otherwise wants to change providers. So, as the NYSBA’s committee rightfully concluded, and as I’ve repeatedly stated in the past, lawyers cannot blindly utilize cloud computing technologies without first understanding and researching the services provided by the cloud computing provider. Exercising reasonable care entails asking the right questions and ensuring the provider’s responses assure you that your clients’ confidential information will be reasonably protected from unintended disclosure. In this timely and exciting program, Nicole Black and Carolyn Elefant, attorneys and co-authors of the new book, Social Media for Lawyers: The Next Frontier, discuss how solo practitioners can use social media to their advantage. Ms. Black and Ms. Elefant review a number of popular social networking sites and provide tips on how attorneys can use these sites to increase their online presence, network with colleagues, interact with potential clients, and convert online relationships into offline ones. In addition, Ms. Black and Ms. Elefant dispel some myths about social media, and share ideas about how to use specific sites such as LinkedIn, Facebook, and Twitter to gain competitive intelligence, showcase expertise, and increase search engine optimization. The content of this course was based loosely on the format of our recently published book, Social Media for Lawyers: the Next Frontier. You can register for the course here. It costs just $40 and the best thing about Lawline CLE courses is that you can view them whenever you'd like from the comfort of your own home or office. On Thursday, October 21st, I'll be speaking in Washington D.C. with my co-author, Carolyn Elefant at the MyLegal.com conference "The Case for Social Media." You can learn more about the presentation from this recent press release.